Our previous studies showed that intravenous immunoglobulin (IVIG) contained anti-Aβ autoantibodies that might be able to treat Alzheimer’s disease (AD). Recently, we identified and characterized naturally occurring autoantibodies against PrP from IVIG. 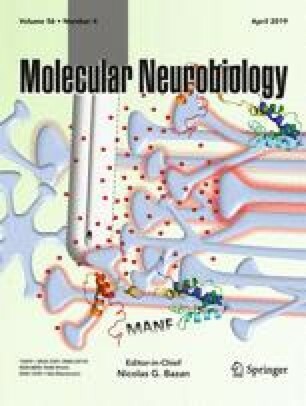 Although autoantibodies in IVIG blocked PrP fibril formation and PrP neurotoxicity in vitro, it remained unknown whether IVIG could reduce amyloid plaque pathology in vivo and be used to effectively treat animals with prion diseases. In this study, we used Gerstmann-Sträussler-Scheinker (GSS)-Tg (PrP-A116V) transgenic mice to test IVIG efficacy since amyloid plaque formation played an important role in GSS pathogenesis. Here, we provided strong evidence that demonstrates how IVIG could significantly delay disease onset, elongate survival, and improve clinical phenotype in Tg (PrP-A116V) mice. Additionally, in treated animals, IVIG could markedly inhibit PrP amyloid plaque formation and attenuate neuronal apoptosis at the age of 120 days in mice. Our results indicate that IVIG may be a potential, effective therapeutic treatment for GSS and other prion diseases. HG prepared figures and wrote the main manuscript text. YK, TZ, GZ, and HP prepared figures. JM provided the study materials. JL, MF, and RD designed experiments and performed administrative support. ED collected and analyzed data and revised the manuscript. YD designed experiments, performed financial support, and did the final approval of the manuscript. All authors reviewed the manuscript. This work was supported by Baudrand Research Foundation.